Hi everyone! 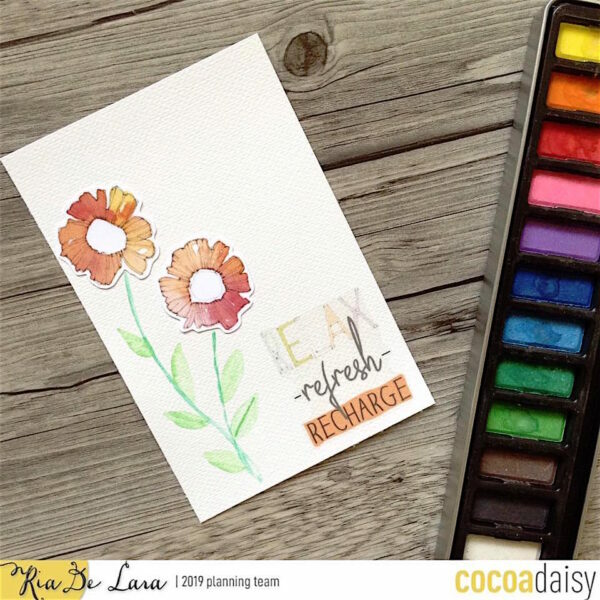 Today, I’m sharing with you an “Off The Planner” project: cards!!! 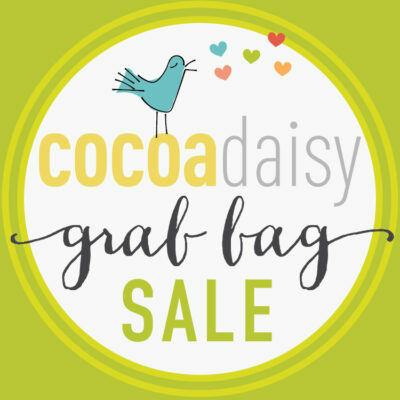 I really love how Cocoa Daisy kits are so versatile they can be used for more than planning. 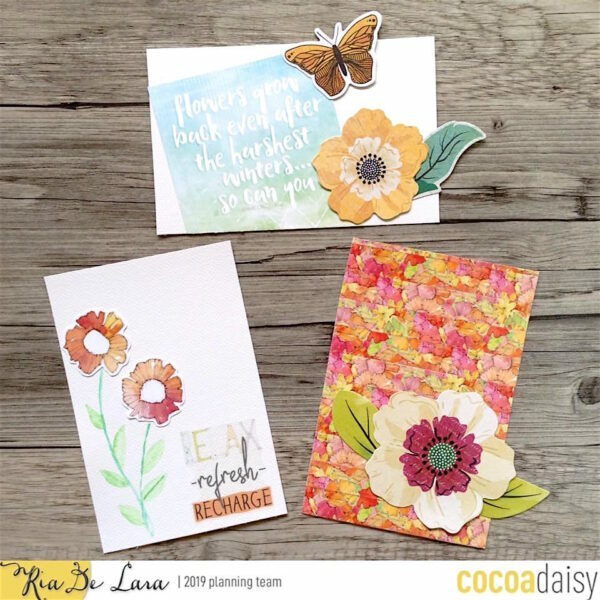 I’ll be sharing about three cards I made with the Fresh Cut Planner kits. I started by trimming 3 pcs of cardstock into 4 x 6 sizes then I just rummaged around my kit to look for items that I could use. 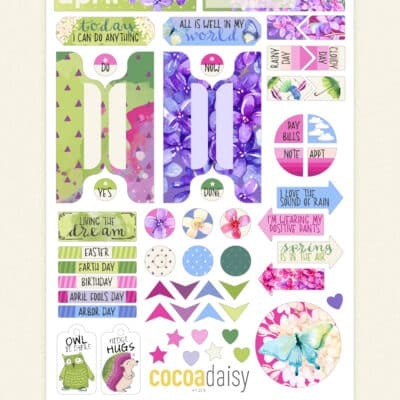 The Fresh Cut Planner kits were really loaded with beautiful things this month. If you are a subscriber to the Planner Add On Kit, you would have received a watercolor set and a water brush, too. I would love to use it to paint flowers if I only had the talent, hehe. So for now, in this card, I settled with painting in the stems after attaching the floral heads on this card. 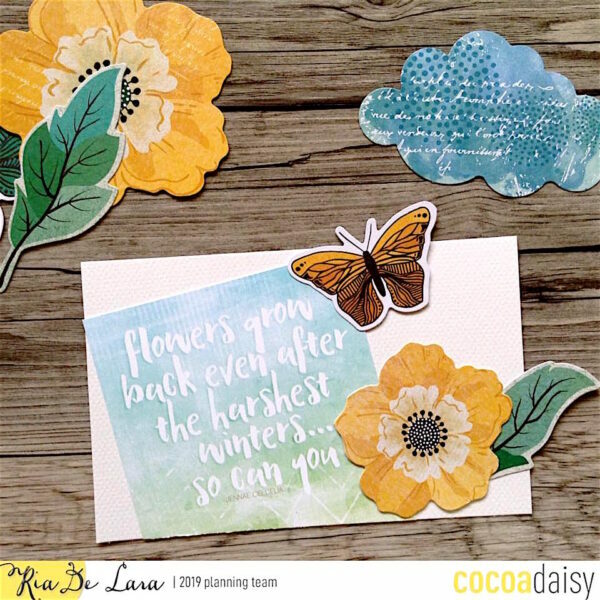 The translucent sticker was one of the beautiful quote stickers in the Fresh Cut Memory keeping Sticker kit. 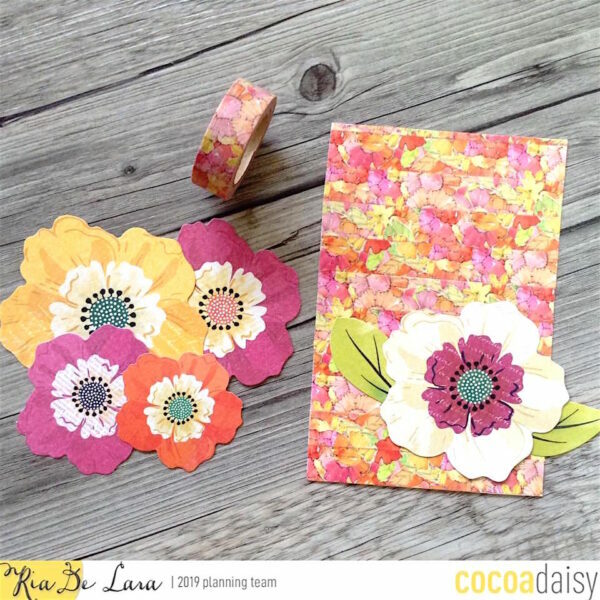 This beautiful floral washi came from the Fresh Cut Planner Add On kit. 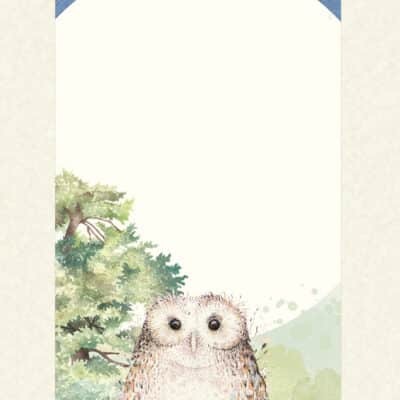 I wrapped it over the front of my card to act as a background pattern. Then I attached the floral ephemera to keep within the floral theme. I let it hang a bit on the side for aesthetic purposes. The floral ephemera was part of the Vicki Boutin ephemera set from the Fresh Cut Classified-Memory Keeping Edition. I trimmed one of the dashboards so I could use this lovely quote in my third card. The butterfly and the floral ephemera came from the Vicki Boutin ephemera set too. Thank you for passing by! 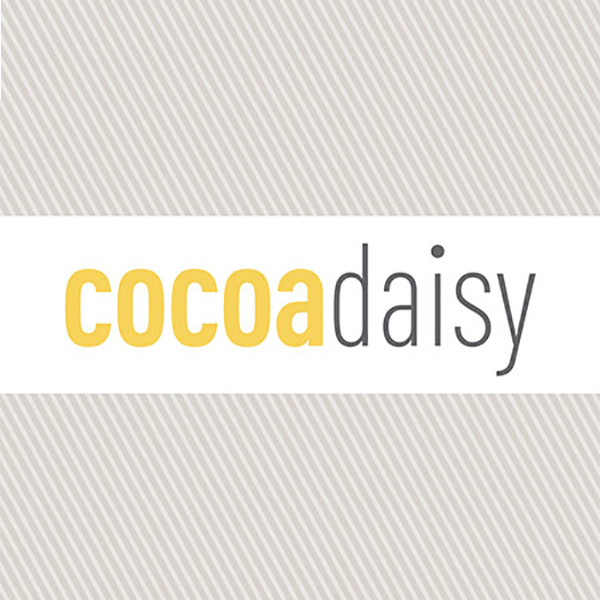 Hope I have inspired you to DIY cards using the Cocoa Daisy kits too.